Today over on Creative Scrappers Blog. it's reveal day with guest designers from the Clique Kits Design Team. I started my layout off by cutting the round and round cut file from Just Nick Shop, and a free cut file (May Mash-up) from The Cut Shoppe Blog. I stuck to the basic placement of this sketch, except I use one photo. This photo shows the special bond and unconditional love that these three share. Titan is one lucky dog, but I can also say that my husband and son are the lucky ones! I love using little clusters around my page, here you can see one to the left of my photo. Added a couple of buttons ( Big red one from Fancy Free collection), rubber charm stickers(life Noted from PinkFresh) and a few enamel dots to finish off the layout. 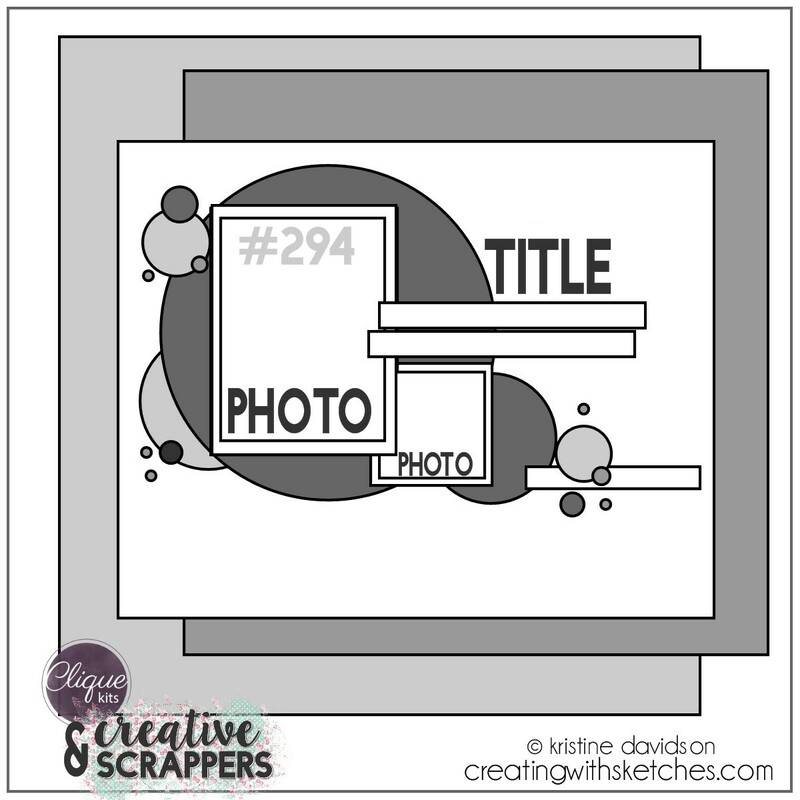 Take a moment and head on over to Creative Scrappers Blog. to see the guest designers from Clique Kits take on this sketch! Share a layout using the sketch and hashtag #creatingwithsketches. Supply List: Patterned Paper- Photoplay- family ties; Stickers- PinkFresh, Life noted; Buttons- Pink Paislee - Fancy Free; Enamel Dots- Simple Stories, Sweater Weather; Cut Files- Just Nick Shop and The Cut Shoppe.